The above image is from J.P. Morgan’s “Guide to the Markets” research and market insights. 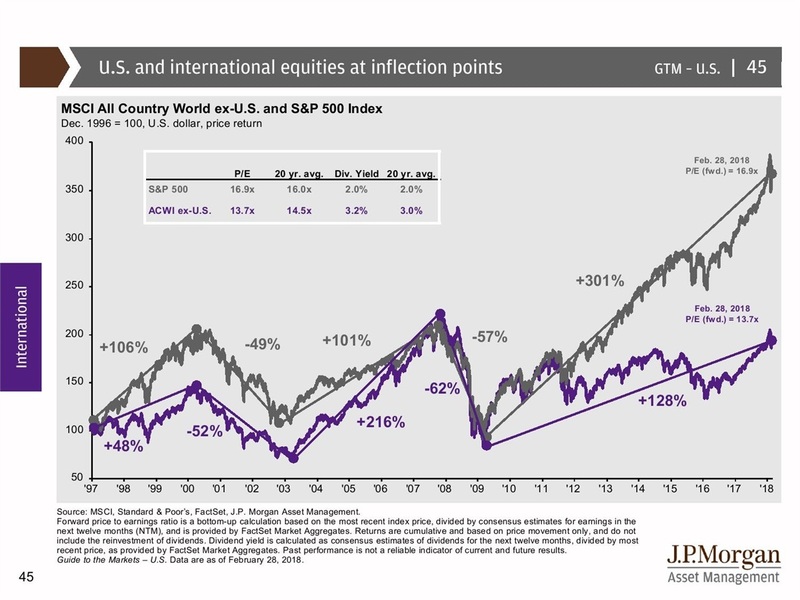 Literally, it shows the movements of the S&P 500 index since 1900. Figuratively, it symbolizes a lot more. A lot has changed since Standard & Poor’s formally introduced its US stock market index in 1923. 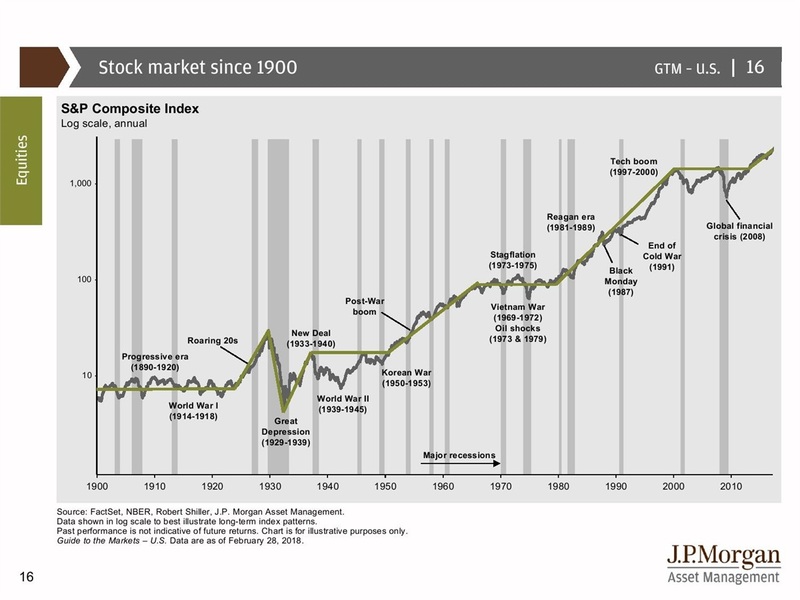 In the 1920’s, 90 stocks made up the S&P’s Composite Index. It wasn’t until 1957 that the index expanded to the likes of 500 American-based companies which we see today. So what are the takeaways? For starters, that the US stock market is resilient and grinds higher over the long-term, despite a whole lot of chaos along the way. Secondly, and more symbolically, this concept of resilience applies not only to the market but to the American people as well. Despite natural disasters, world wars, bitter political conflicts at home and abroad, periods of devastating unemployment and/or sky-high inflation, major recessions, and most recently the global financial crisis, the people that make this engine go have never given up. Entrepreneurs in our country haven’t halted their ambition despite failures or setbacks, workers haven’t called it quits despite poor wages or lack of desired opportunities, and businesses as a whole have never stopped innovating, growing, and helping our economy not only survive but thrive in an increasingly global economy. Nothing against the international markets - many have done well over time and play an important role in a diversified portfolio. But few have shown the innovation and consistent resilience like the markets here at home. And that says a lot about the American people. The MSCI All Country World Index (ACWI) is a market capitalization weighted index designed to provide a broad measure of equity-market performance throughout the world. The MSCI ACWI is maintained by Morgan Stanley Capital International (MSCI), and is comprised of stocks from both developed and emerging markets.